The PM hailed Chandra Shekhar Azad for his courage and Tilak for igniting the spark of patriotism in the hearts of Indians. 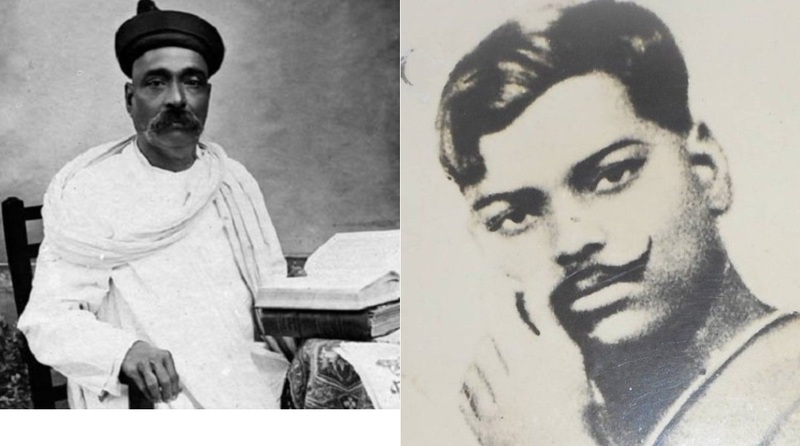 Prime Minister Narendra Modi paid tributes to freedom fighters Bal Gangadhar Tilak and Chandra Shekhar Azad on their birth anniversaries on Monday. In two separate tweets posted from his official Twitter account, the PM hailed Chandra Shekhar Azad for his courage and Tilak for igniting the spark of patriotism in the hearts of Indians at a time when the nation was struggling to fight against the British imperialism. “I bow to Lokmanya Tilak on his Jayanti. He ignited the spark of patriotism among countless Indians,” wrote the PM. “He successfully mobilised people from all sections of society and deepened the connect between our citizens and India’s glorious past. Lokmanya Tilak also emphasised on education.” Modi added. In his homage to Azad, the PM called the revolutionary leader a “brave son of Bharat Mata”. “On his birth anniversary, my tributes to the great Chandra Shekhar Azad. A brave son of Bharat Mata, he sacrificed himself so that his fellow citizens get freedom from colonialism. Generations of Indians are inspired by his courage,” he wrote. The Congress, too, tweeted a tribute to Tilak and Azad. “We remember Bal Gangadhar Tilak. He was part of the Lal-Bal-Pal triumvirate who represented conservative thought in the Congress Party. He is also famous for the slogan: Swarajya is my birthright and I shall have it!” posted the grand old party from its official Twitter handle. “Tribute to Chandra Shekhar Azad, who, till his last breath, remained a synonym of fear for British rulers,” wrote the party in Hindi. West Bengal Chief Minister Mamata Banerjee, too, paid tributes to the freedom fighters. “Homage to nationalist leader, and part of the ‘Lal Bal Pal’ trio, Bal Gangadhar Tilak on his birth anniversary,” she wrote. “Tribute to freedom fighter Chandra Shekhar Azad on his birth anniversary,” posted the Trinamool Congress chief from her official handle. Born in Ratnagiri in Maharashtra on 23 July 1856, Tilak was a member of the Indian National Congress and was instrumental in the splitting of the party into the moderate and extremist factions in 1907. Tilak led the extremist faction along with Bipin Chandra Pal and Lala Lajpat Rai. Tilak had great respect for Swami Vivekananda. When Swami-ji attained samadhi, Tilak wrote an obituary in ‘Kesari’ hailing Vivekananda as the “second Shankaracharya” after Adi Shakaracharya. On 22 July 1918, Tilak was granted permission to visit England on condition that he will not participate in political activity. On 23 July 1918, The Statesman reported that Tilak reserved to himself the right to move the Home Government for the cancellation or modification of the conditions imposed upon him. “He intends to proceed to England by the middle of September as his case is likely to come on for hearing in November next after the long vacation,” read the report. Tilak breathed his last on 1 August 1920 in Bombay (now Mumbai). Azad, who was born on the same day in 1906 in in Bhavra village, in the present-day Alirajpur district of Madhya Pradesh, attained martyrdom 27 February 1931. He shot himself with the last bullet of his colt pistol during a gunfight with the British fulfilling the pledge of never to be caught alive. A prominent member of the Hindustan Socialist Republican Army (HSRA), which also had as its members Bhagat Singh and Scahindranath Sanyal among others, Azad was known for the daring Kakori train robbery. He was betrayed by an unknown informant who told the British of his location in Allahabad leading to the shootout in Alfred Park.